Restockers keen on replenishing their Merino ewe reserves were also looking at the prolonged dry weather and possibly baulked slightly at paying premiums during the Condobolin Sheep Breeders’ Association’s spring sheep sale last Thursday. Moncrieff Livestock and Property agent Greg Moncrieff, said the market was much tougher than the previous week at West Wyalong, but reflected the drier weather conditions. “It’s a reflection of the continuing dryer conditions being experienced together with a falling mutton market which has graziers quite concerned in which way they should turn,” he said. Another local agent, Blue Reardon of JN Straney and Son, agreed and said he saw the lack of competition due to the dry seasons. Top pen selling at $214 a head were a line of 193 Merino ewes July/August 2016 drop of Woodpark blood and July shorn bred and offered by Ian and Jane Menzies, “Moonbah”, Condobolin, going to a Tullibigeal restocker. Ian Menzies, “Moonbah”, Condobolin, with his 193 July/August 2016 Merino ewes July shorn and of Woodpark blood which topped at $214 going to a Tullibigeal restocker. Best presented pen came from Harold and Phillip Crouch and family’s Karu Pastoral Company, with a pen of 190 Merino ewes of Milby blood, May 2016 drop and July shorn later selling at $210 to a Lake Cargelligo restocker. 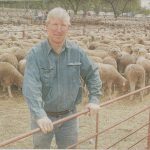 Phillip Harding, “Brooklyn”, Condobolin, gained $190 a head for his draft of 481 Merino ewes, July/August 2016 drop, April shorn of Ballatherie blood selling to a repeat buyer from the Forbes and Baldry districts. 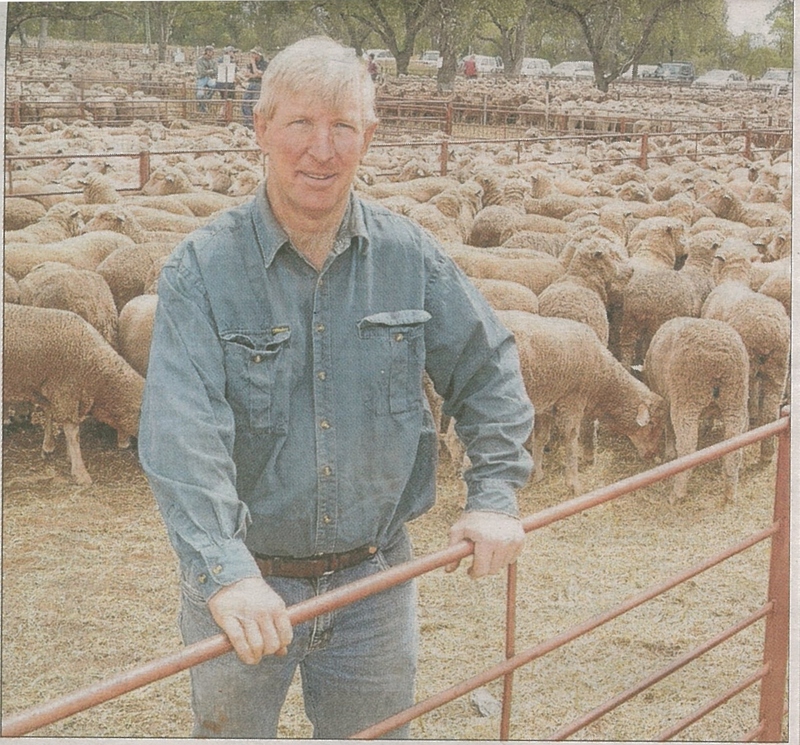 Rob and Bellinda Neal, “Lockerbie”, Condobolin, sold 216 Merino ewes of Darriwell blood, May/June 2016 drop, July shorn, for $172 each to the Forbes district while the Brangwin family, “Evergreen”, Condobolin, received $160 a head for their 165 Merino ewes April/May 2016 drop Haddon Rig blood and July shorn from a Griffith district buyer. Ridgelands Pastoral Company, Condobolin, sold 200 Merino wether lambs June/July 2017 at $70 each.